Why Faliro Athens' sea side? Visitors to the city give good words the town's city plan, gardens, parks, cleanliness, buildings, apartment buildings, well-kept trees, squares. Marina Flisvos is a modern luxury yacht berth. It has very good services, leisure centers and perfect cleaning service. Flisvos Park is the best of the Balkans. Faliro offers walking area between the tram lines and the sea for a wonderful 2-3 km walk. It also has restaurants, tavernas, ouzeries, cafeterias, cafes, confectioneries, shops etc. Edem is the closest to Athens beach where many Athenians and visitors enjoy the sun and the sea. Guests can go to Faliro by tram, taxi. Car or bus. It is a dream of staying in Faliro. There are many routes for excursions to all directions in Attica with the first destination Cape Sounio, the historic Marathon, the historic Piraeus and the historic Eleusina. 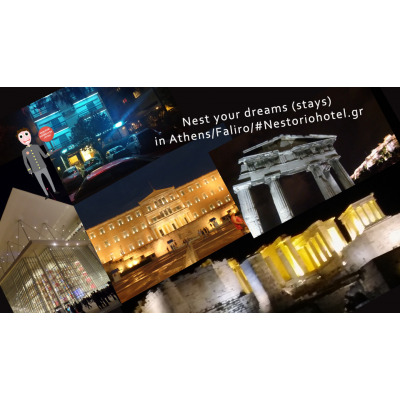 The #Nestoriohotel is located at the southwestern tip of Faliro, bordered by the the Maternity Clinique REA, the Metropolitan Medical Center and the Metropolitan Onassis Cardiac Center, the Metropolitan Hotel, the Olympic Indoors Stadium TAEKWONDO and the Eugenides Foundation (Planetarium). It is located also 3 km from the largest marina of Greece Alimos. Visitors prefer Nestoriohotel as a stopover from Airport to Athens and the port of Piraeus to travel to the Aegean islands. Meanwhile, during their short stay in Faliro, they also visit Athens, Piraeus and Vouliagmeni with HOPONHOPOFF BUSS. 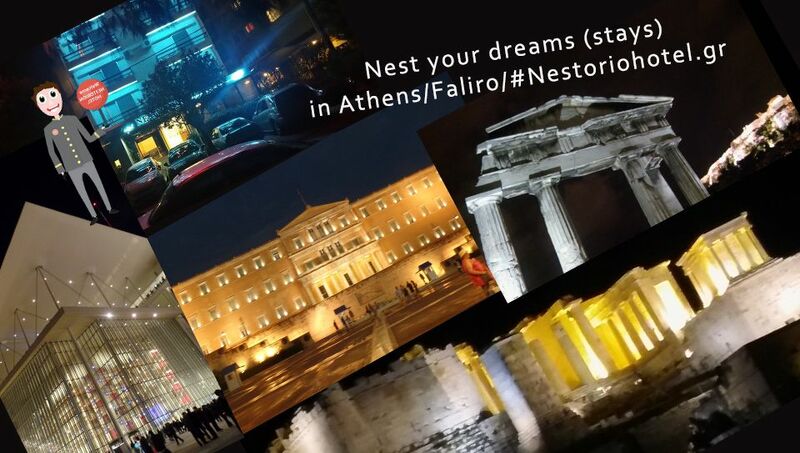 #Nestoriohotel supports any local initiative to improve the stay and the transport infrastructure of Faliro visitors and link them to the general business plan objectives of Palaio Faliro, Piraeus and Athens. #Nestoriohotel constantly improves its hosting system and receives courteous comments and high scores on online booking platforms. The common course of all city / business / institution tourism can help to achieve the country's overall medium and long-term goals. The Municipality of Palaio Faliro has a higher recycling rate of 12.74%, among 66 Municipalities of Attica.